Stage AE presents Tash Sultana on Tuesday 20th November 2018 and it's going to blow you away! Pulling out all the stops, Tash Sultana knows how to make a crowd go wild, with a phenomenal, unforgettable live show! Now THAT'S entertainment! Tickets are on sale now, get yours today to ensure your seat. 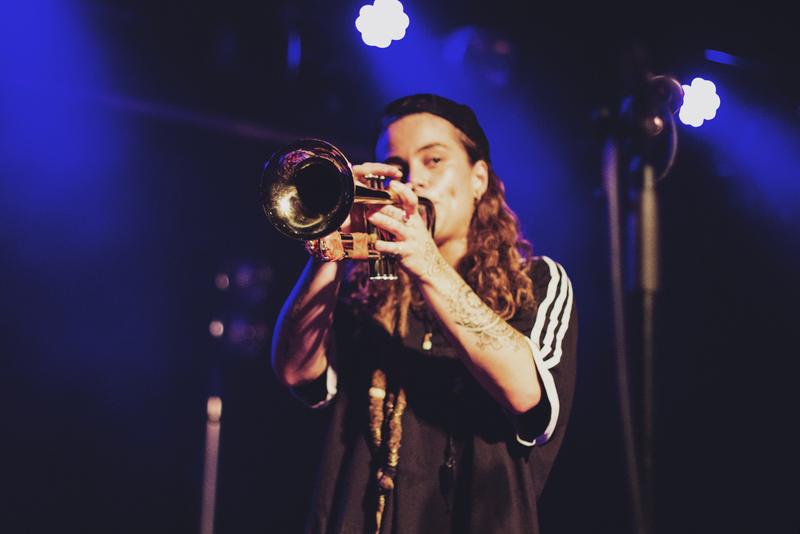 Growing up on the Australian scene in the happening city, Melbourne, Tash Sultana began her music days very early as she learnt to play guitar at the young age of three! To this date this inspirational artist can play an impressive and almost unheard of, 20 instruments, including guitar, bass, percussion, saxophone and more. During her time writing and performing music she became addicted to self-described drugs and had to resort to months of therapy, this meant that she was unable to hold down a permanent job and turned to busking as a way to get by, this of course had a massive impact on her as a writer and performer and gave her the drive to pick up more instruments and layer them into tracks. Her first debut with her single "Jungle" pushed her into the limelight and gave her the number 3 spot on the Triple J Hottest 100 charts! Making 2018 an important year for her and her exciting career! Come and show your love and enjoy a concert that is full of talent this coming Fall as Tash Sultana takes to the stage right here! !